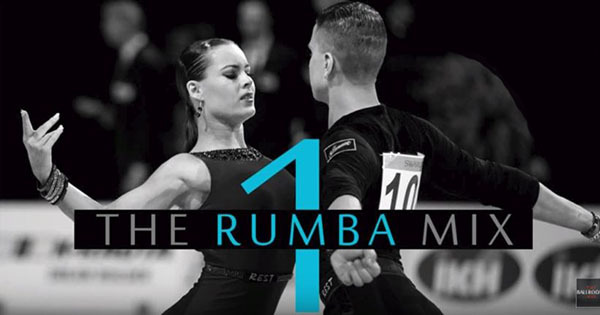 The term rumba was originally a generic word for other terms. For example, it is related to words for Son, Danzon, Guaracha representing music and dancing from the West Indies. In addition, it may have evolved from other words like rumbear to party or rumbo, which means course or party. Also, the word may be related to rhombus meaning something that spins. Moreover, the verbs rumbaing and rumbaed were first recorded in 1932 (according to the Online Etymology Dictionary). Eventually, the word rumba came to be used in different ways depending on the country. For instance, in Northern Cuba, the word was synonymous with party. Furthermore, the rumba was influenced by both Spanish and African cultures and traditions. Historical evidence suggests early roots of the dance go back to the 1600’s. Essentially, it was influenced by African slave rhythms and dancing. In the late nineteenth century, it referred to various Cuban music styles developed by Afro-Cuban workers. Also, several different styles emerged with their own music rhythms and dancing. Later, during WWII, Cuban middle and upper classes were dancing the Son and Danzon dances related to it. Eventually, the Europeans and Americans discovered it in Cuba. Furthermore, they brought it back to their countries and in 1930’s America, it was all the rage. Also, it spread to most of the European countries. In the United States, the anglicized variant rhumba developed for ballroom music with Afro-Cuban rhythms in the 1920’s. Moreover, the 1930’s song The Peanut Vendor popularized this dance genre of music and dancing in the U.S. Currently, there are three styles of the genre popular in the United States. These styles are American style, the International style and American style bolero. In ballroom dancing, there are three categories of this dance, the American style , International style and the bolero. However, the bolero is danced to slower tempo music. Alternatively, the box style of this dance uses fast tempo Cuban music. Generally, the International style is danced in Europe, Japan and other parts of Asia. Also, this form uses slightly slower music. Additionally, it uses a side motion followed by a breaking action. Furthermore, the International style is more staccato than the American style. Lastly, the International style is preferred for dance sport. In the nineteen and twentieth century’s, several different styles of this dance evolved. For example, different styles include the Columbia style, the sensual yambu and guaguanco that incorporated pelvic thrusts. However, contemporary ballroom styles of the dance do not resemble these original forms. The frame for this dance is more relaxed than the ballroom smooth dances. Also, the American style uses a Cuban hip motion. Alternately, the International style uses a Latin hip motion. The American ballroom style is sometimes called the box rumba. Historically, it is an older style of the dance. Often, the box step is one of the primary basic figures. Also, the rumba is a medium tempo dance with a smooth sound. This makes it one of the favorite dance genres for wedding first dance routines. In addition, it is distinguished by its sensual Latin music. In contrast, the mambo and cha cha have faster tempos and are more energetic. Also, the cha cha uses a staccato type action or movement. In contrast, the rumba uses a fluid, slower movement. 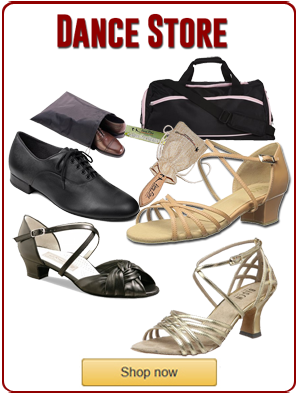 Ballroom dance studios include this dance as part of their American style rhythm programs. Also, it is one of the classic ballroom dances included for DanceSport. The classic ballroom dances includes this dance along with the foxtrot, waltz, tango and cha cha. In addition, most dance studios also offer other Latin dances. Furthermore, these include the samba, bolero, merengue, salsa, bachata and cha cha. Latin dancing is very popular in Southern California, particularly in San Diego. Lastly, this dance is one of most popular dance genres for weddings. Therefore, many couples choose it for its sensual, romantic music plus it is a very easy dance to learn. Check out Emmanuel & Liana dance bolero, mambo, samba and more here!